The first two weeks with my long term Triumph Bobber have gone incredibly fast and the odometer is already reading over 1300, so the Bobber is well on its way to reaching the #ride5000miles goal. Here are my observations after the first two weeks. I think the Bobber is by far the best looking bike on the fleet, and when you consider the fleet also contains the stunning new BMW R nineT Racer and M1-like Yamaha R6 that’s no mean feat. But passers by think it’s beautiful. It got so much attention at the recent MCN Festival it almost warranted its own stand. I even had an audience when leaving at the end of the day. The public love it. Observation two; it’s surprisingly comfy. 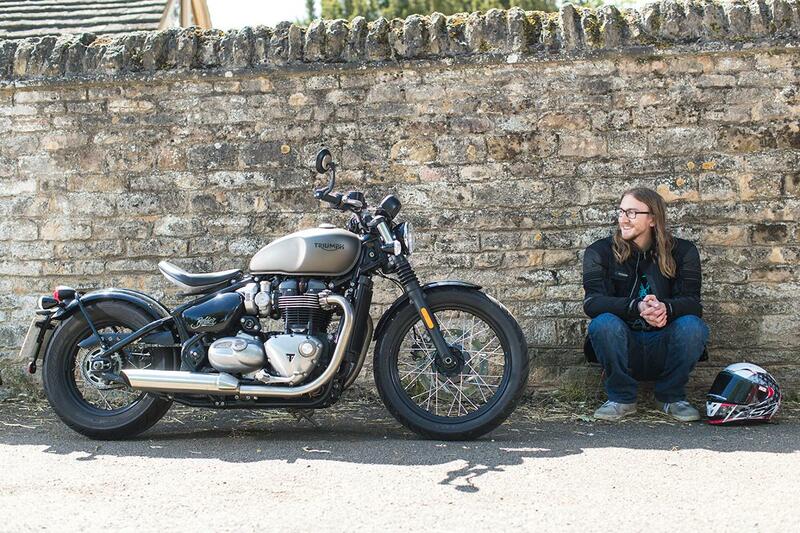 Despite the Bobber having what look like oddly-position mid level legs it’s surprisingly comfy over long distances. Your back side slides into the bucket-like seat and the bar position feels natural. I expected my back to hurt over longer distances but so far it hasn't, which is no doubt helped by the next point. Observation three; the tank is too small. 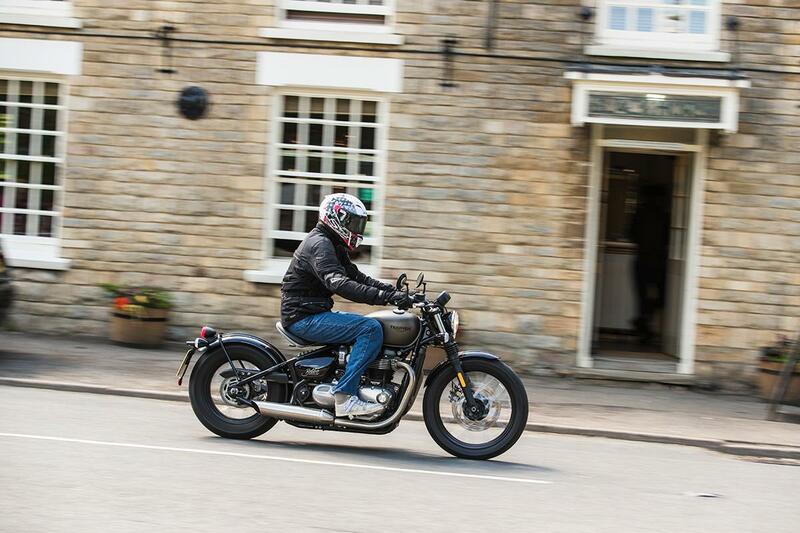 Granted the Bobber is anything but a touring bike, but a 9.1 litre tank is a little silly. Triumph claim 69mpg, which would equal a tank range of 138 miles. That doesn’t sound too bad, but over the first 11 fill ups (I forgot to record a couple) I’ve averaged 55mpg, with my longest ride between top ups being 102.2 miles. The best mpg has been 61, while the lowest has been 49. This isn't too bad over a week of commuting, but when I'm traveling up to Yorkshire or down to London to see family it can get a little annoying. Observation four; the engine is a peach. I wasn’t expecting a great deal from the engine, to be honest. I just expected it to be a fairly standard parallel twin, but it delivers the power and torque in a huge gobful that makes blasting away from traffic lights and out of 30mph limits incredibly fun. It sounds great too, even with the standard exhausts. While we’re undoubtedly still in the honeymoon stage I’m really enjoying the Bobber. It makes a great bike for the short ride to work and slightly longer ride to my girlfriend’s, although it can become tiresome on longer rides. Now all I need to do is make it my own with some parts from Triumph's bottomless official accessory catalogue.